If you needed more proof that Mercedes-Benz Canada is having an extraordinarily strong retail sales performance of late, grab a shovel and join dealers Benoit and Donald Theetge next week as they break ground on their new dealership in St-Nicolas, Quebec. The ceremony, scheduled for October 18 and set to include a number of company executives including president and CEO Tim Reuss, will mark the official start of construction of a new landmark Mercedes-Benz. 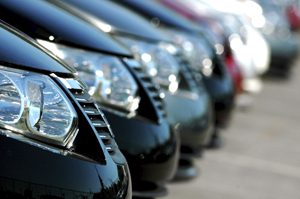 It is also the third such event in less than two months for the luxury automaker in Canada. Mercedes-Benz Canada executives joined dealers in Quebec and B.C. for similar ceremonies in late August and early-September. First up was dealer Philippe St-Pierre officially breaking ground at Mercedes-Benz Gatineau, Quebec. Construction of his new retail sales facility began immediately on a four-acre site located on Boulevard de la Vérendrye West. The 50,000-square foot building is set to include a 13,000-square foot showroom, a 12,000-square foot service department with 10 service bays, two bays for cleaning and detailing, four drive-thru bays, as well as an 18,000-square foot pre-owned showroom that is located in the basement of the facility. Officials expect the new dealership will be operational by next spring and will create approximately 40 new jobs. Next up for Reuss and the team was a ground breaking ceremony on the other end of the country in Langley, B.C. on September 6. Construction of the new Mercedes-Benz Langley dealership has started at the corner of Glover Road and the Langley Bypass. The Dilawri Group owns the store and Ajay Dilawri, group president was joined by Reuss and Langley mayor Peter Fassbender for the sod turning. The 4,300-square metre dealership will be the first for Mercedes-Benz in the Fraser Valley, outside of Surrey. That store is slated for completed next spring. 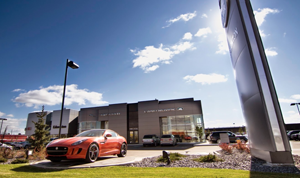 While it is a little surprising to see three new stores added to a luxury dealer network over such a short time frame, it is easy to see why when examining the brand’s performance of late. Mercedes-Benz is up over 10 per cent year-to-date as of the end of September. Total sales sit at over 26,400 sold in 2012 as nameplates in several segments sit at or near the top amongst competitors. Through September, the C-Class has sold 8,098 units jumping 20 per cent over the same time last year and second only to the BMW 3 Series in that segment, which dropped five per cent over the same period. The E-Class is tops in luxury full-size luxury sedan segment and the automaker’s SUVs (M-Class and GLK) sit third and fifth respectively amongst its luxury competition. 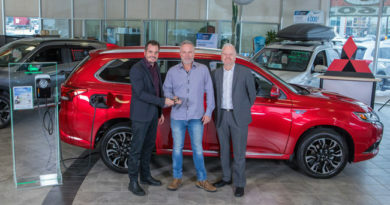 Reuss revealed to Canadian AutoWorld during an interview this past February that the dealer network was set to grow from 53 to 60 dealerships. The growth, he said, was necessary as the business grows with new product and into new segments. “Going forward in the next five years, our private dealers will invest over $150 million and we will be investing the same amount,” he said.